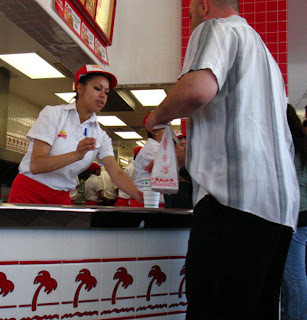 In N Out Burger is amazing, completely amazing in its service! At lunch time the day I was there they were really humming! This was a lucky shot I took while waiting for my order.